Hosting afternoon tea in your home means you can design a menu that caters to your favourite foods. When you hire a personal chef, you will be able to bring great personal touches to your afternoon tea without all of the stress of planning and prepping by yourself. Tea time should be relaxing. Ensure that it is, for you and your guests by having a chef at home prepare it for you. You’ll want a tiered cake stand for finger sandwiches. This will also be the center of the table and serve as the main visual attraction. You will also want tea service, cake plates, cutlery and linen napkins. Much of the pleasure of afternoon tea lies in the details. A tablecloth is suggested for tea. If you don’t have one, the home catering service will be able to provide one for you. Add some festive, yet light decoration with flowers or bunting. Place cards are nice, but place card cookies are even better. Talk to your caterer about having some baked off for your tea. Have everything on the table and ready to go before guests arrive. No one like to wait for a drink. Be sure to lay out a nice variety of teas, peppermint, Earl Grey, herbal and fruit teas, and English Breakfast. If it will be a hot day, consider serving iced tea. If you’re feeling saucy, offer a hit of Pimm’s to pep the party up. While there aren’t any hard and fast rules to tea party food, its nice to stay in the realm of traditional and serve tea sandwiches, some cakes, and scones. You could also add petits fours or biscuits. 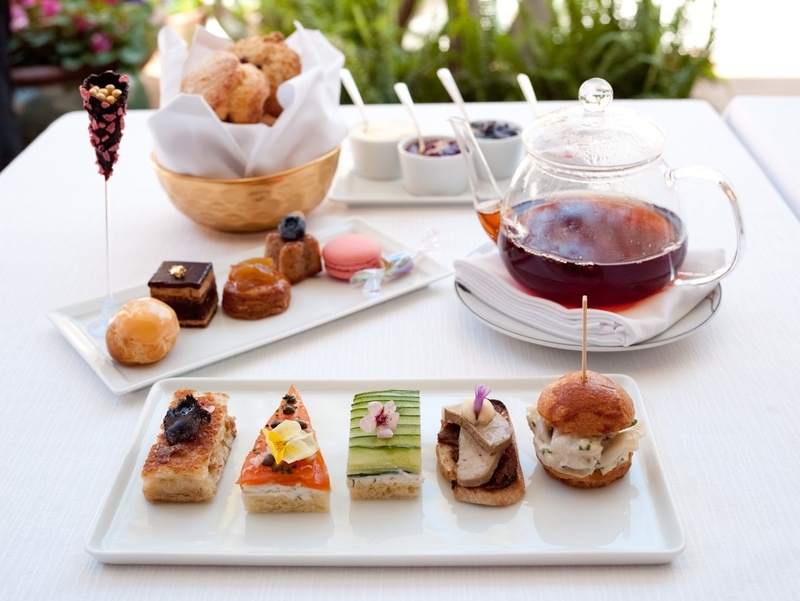 The art of afternoon tea is certainly not lost. Help keep the tradition alive by hosting an afternoon tea for your next gathering.